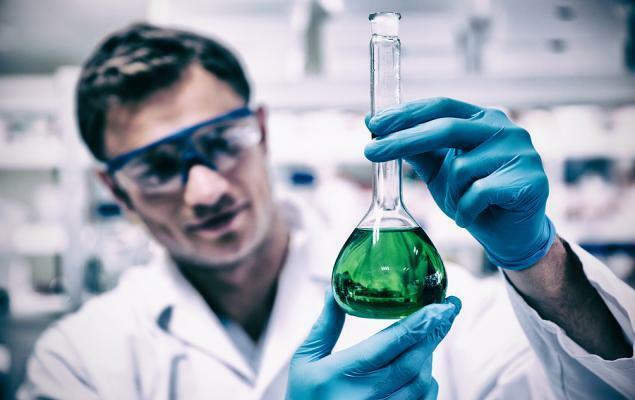 Investors in Sorrento Therapeutics, Inc. (SRNE - Free Report)	need to pay close attention to the stock based on moves in the options market lately. That is because the Apr 18, 2019 $5.00 Call had some of the highest implied volatility of all equity options today. Clearly, options traders are pricing in a big move for Sorrento Therapeutics shares, but what is the fundamental picture for the company? Currently, Sorrento Therapeutics is a Zacks Rank #3 (Hold) in the Medical – Biomedical and Genetics industry that ranks in the Top 34% of our Zacks Industry Rank. Over the last 60 days, no analysts have increased their earnings estimates for the current quarter, while three have revised their estimates downward. The net effect has taken our Zacks Consensus Estimate for the current quarter from a loss of 24 cents per share to a loss of 35 cents in that period. Given the way analysts feel about Sorrento Therapeutics right now, this huge implied volatility could mean there’s a trade developing. Often times, options traders look for options with high levels of implied volatility to sell premium. This is a strategy many seasoned traders use because it captures decay. At expiration, the hope for these traders is that the underlying stock does not move as much as originally expected.